View More In House Paint. 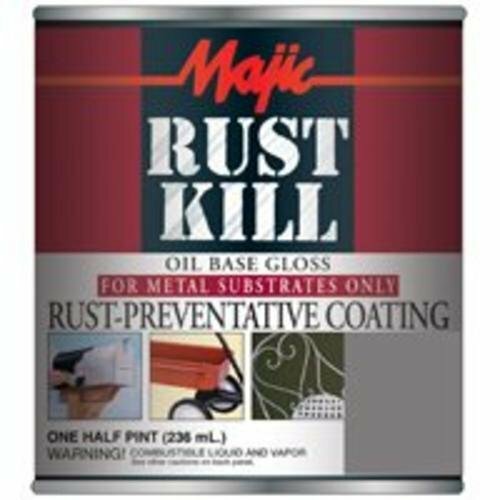 A high-quality alkyd resin enamel containing a superior, long-lasting rust-inhibiting pigment. Applies smoothly and Dries quickly to a long-lasting weatherproof finish. This enamel Dries to a gloss finish that is non-chalking and fade-resistant to give maximum beauty and protection on most interior/exterior surfaces. If you have any questions about this product by YENKIN MAJESTIC PAINT, contact us by completing and submitting the form below. If you are looking for a specif part number, please include it with your message. 2500 Alkyd Enamel, Safety Orange, 1 gal. Chemsol 75-BK-HG Nonslip Coating, Extremely Durable Antislip Paint, 1/2 Gal. 3100 Acrylic Enamel, Safety Yellow, 5 gal.